Successfully Added 1Pcs Stainless Steel Pipe Band Adjustable Fuel Line Clamps 3/8"-5/8" (10-16 Bandwidth 8MM) to your Shopping Cart. --Stainless steel material, anti-deformation, high temperature resistance, anti-corrosion and rust resistance. --Very economical and affordable, suitable for the use of general piping pressure environment! 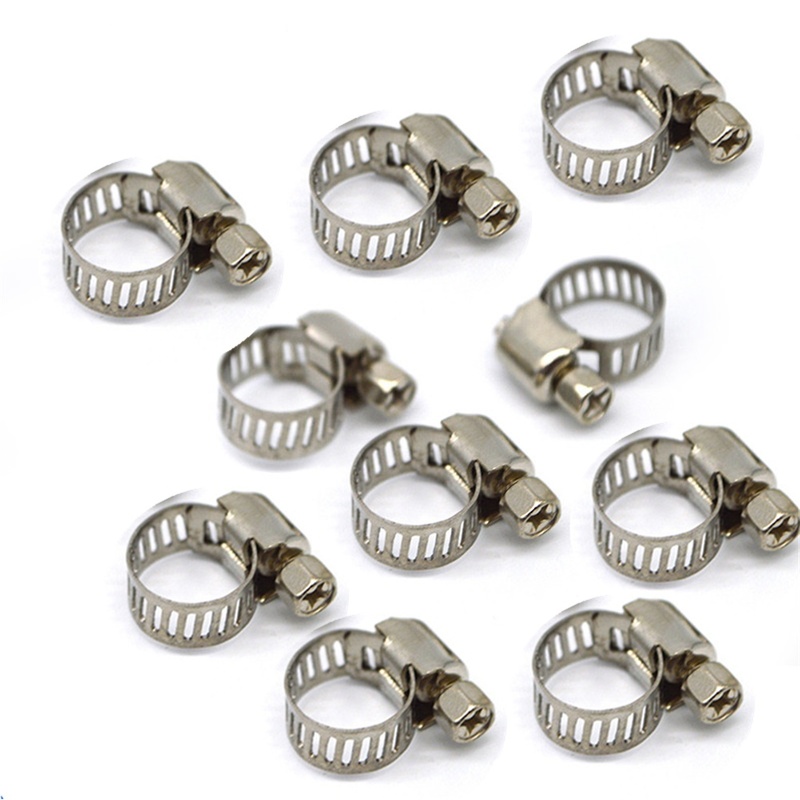 --Strong screws and buckle design, steel belt perforation, fine workmanship, smooth and no burr. --The dimensions are the contraction range of diameter. We provide you with the best product and service. If you have any problem, please tell us, we will solve it ASAP. Thank you so much.